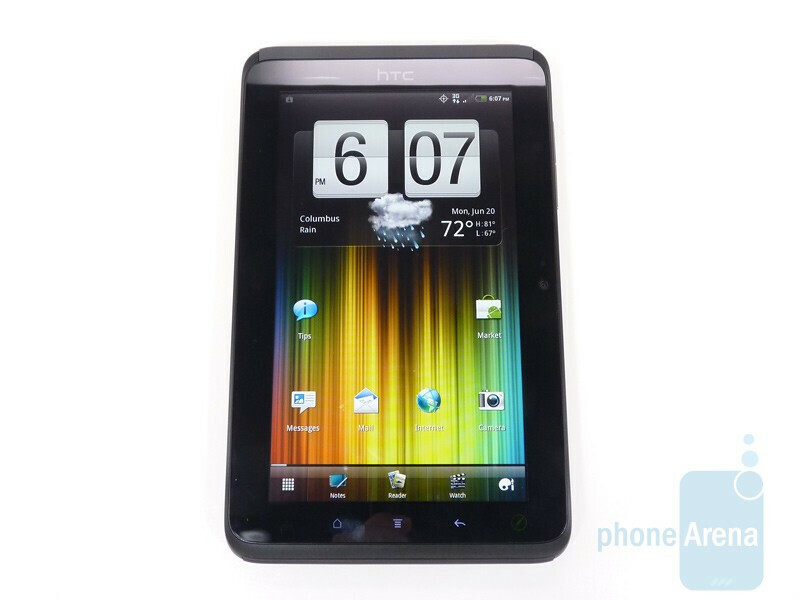 A few weeks ago we took a look at the Wi-Fi only HTC Flyer, but today we present to you the HTC EVO View 4G, the Wi-Max variant that will be available in Sprint stores starting on June 24th. Despite the name change, the two devices are nearly identical with a few major differences. For starters, the EVO View 4G has a different black and red color scheme that keeps it in line with the rest of the EVO family of devices. More importantly it brings cellular data into the mix with support for Sprint’s 3G and 4G networks. 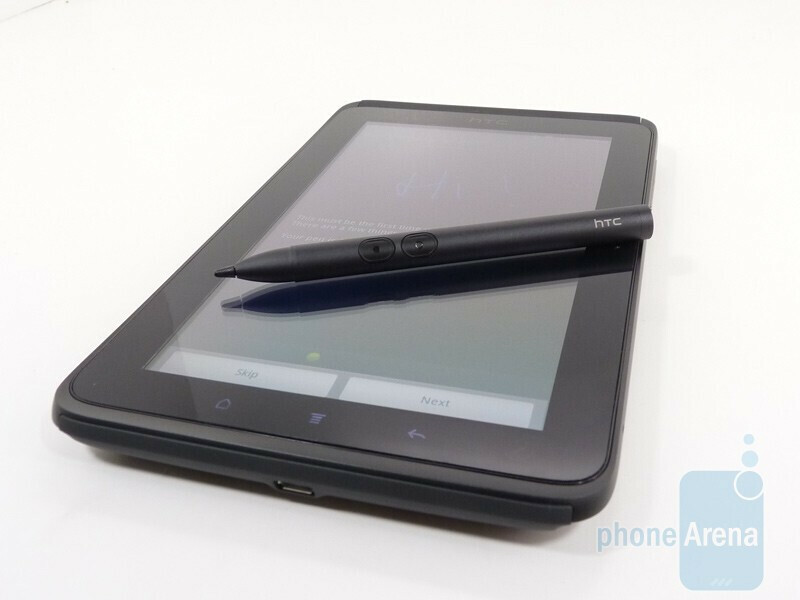 The HTC EVO View 4G is a 7” Android 2.3 tablet (Honeycomb is said to be on the way, but HTC was not provided the code in time for the View and no timetable has been given) that features a 1280x600 display, 5MP rear and 1.3MP front cameras and HTC Scribe technology. The latter allows the EVO View 4G to be used much like a pen and paper, albeit with some other goodies thrown in the mix. Other features include a 4000mAh battery, 1.5GHz Snapdragon processor and 8GB of internal memory with microSD expansion. 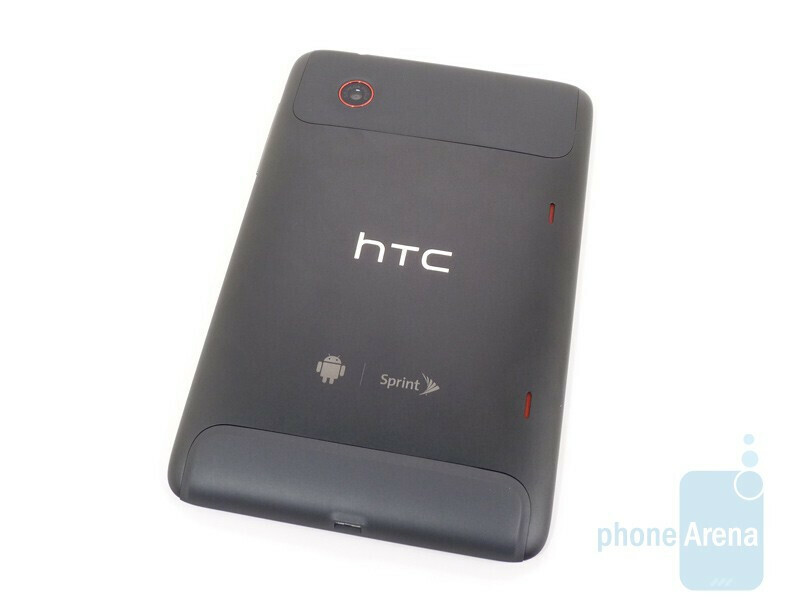 Initially we like the look and feel of the HTC EVO View 4G. It is constructed out of aluminum and high quality plastic which give it a top notch feel. The device is rather heavy at 15oz (the original Galaxy Tab is 13.4) but with the premium materials that is to be expected. 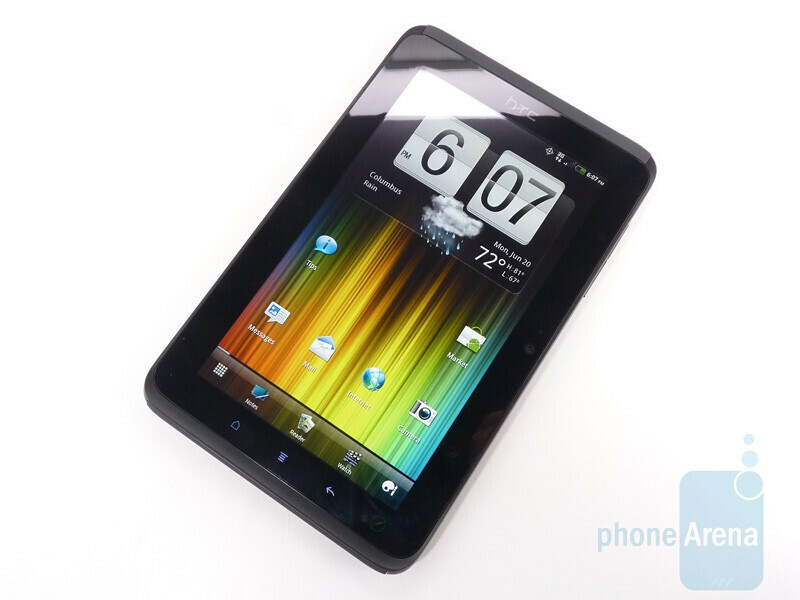 The 7” screen is very vivid with an excellent viewing angle which makes the new Sense 3.0 interface sparkle. 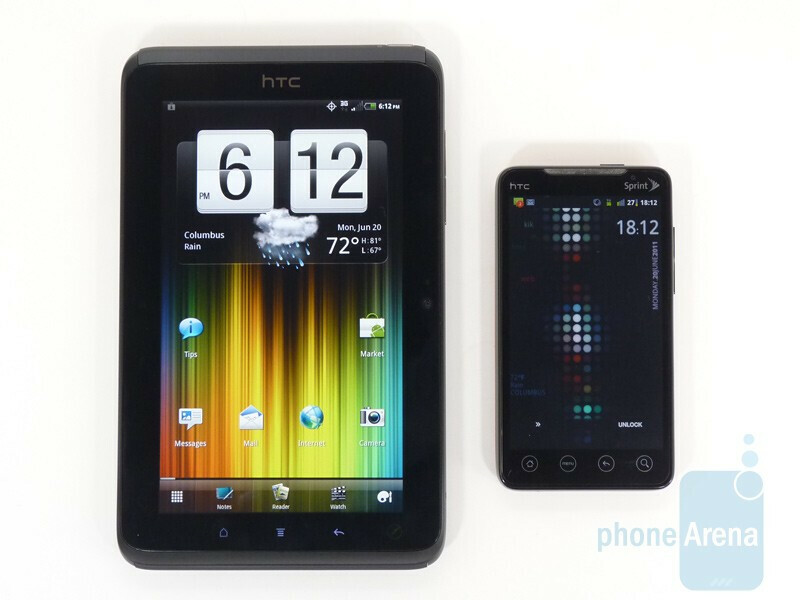 Stay tuned for our full review of the HTC EVO View 4G soon! This guy sounds way when he is just talking and not reading from a script. I don't know how much the rest of you follow PA but if you have watched some of the reviews he does he sounds like s robot. Much much better in this unboxing. I thought internal memory was 32 gigs? I have been reading up on the Evo View and I am pretty excited to be getting one. I ordered one online and it should be here in the next few days! I was looking for a small tablet that had good performance and since the View has 4G, I should have no problems downloading! As a customer and employee of DISH Network, I have been using the DISH Remote Access app to stream live TV and recorded shows from my 722k receiver that has a Sling Adapter, and I love being able to watch TV when and where I want. I paid only $99 for my Sling Adapter. However, I know that anyone who has DISH Network and purchases a $99 Sling Adapter, they can get a $99 MasterCard as a rebate, so that the adapter is free! Check it out here athttp://bit.ly/jCqUsl to get all the information! That way you can take your channels with you!